But for thing for sure I'm glad I was her daughter, taught us so many things in life, to always be humble and kind with everyone and one thing I know she loves to cook and invite family & friends over for great meal. My mum loves making bread and too be honest I'm not such a fan of making ones. Because I make few times and didn't turn out like how she does..but finally she taught me that I need to be patience when i'm making bread and started to love making it for home purpose and also commercialized it for my mum. This dinner rolls I make recently was taught by her. 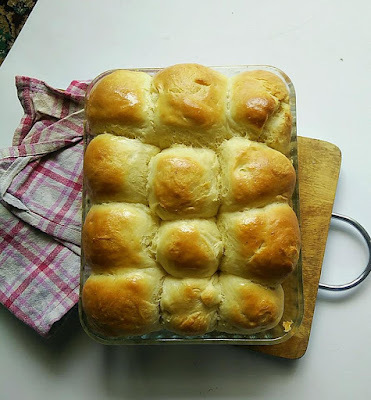 These dinner rolls are so fluffy and soft. I love how soft the texture it! Hope you get the strength to overcome everything in life..